An Antifa group calling itself the “Brown Berets” organized a call-to-arms this weekend in response to a “peaceful, family-friendly” march in support of President Donald Trump, veterans, and the needy in Phoenix, Arizona. Beth Payne laughed out loud at the suggestion that the AR-15s and AK-47s she and other members of the Phoenix John Brown Gun Club were toting a week or so back at the Arizona Capitol were AirSoft replicas of the real thing. This conjecture emanated from right-leaning critics following a Facebook Live video I shot on March 25 of 40 or so radicals with rifles, who were counter-demonstrating at a pro-Trump Make America Great Again march that ended on the lawn of the state Senate. The footage went viral, bolstered by links from prominent conservative sites, such as The Daily Caller and Glenn Beck’s The Blaze. 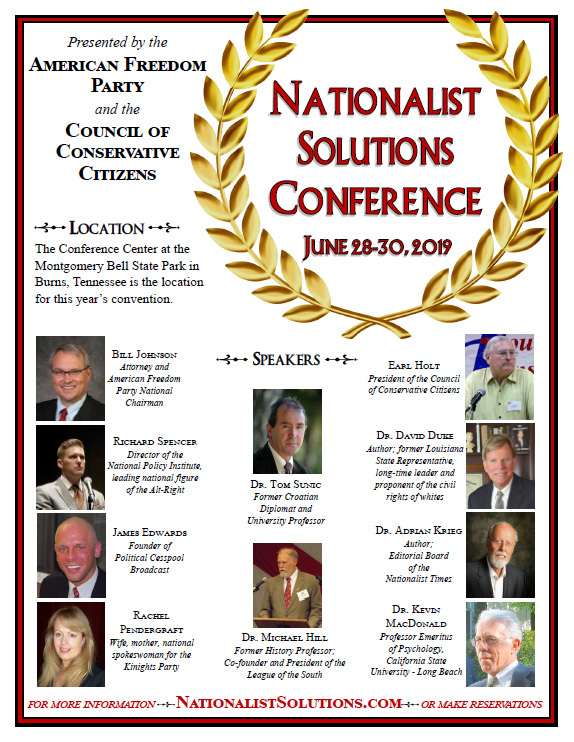 It also caught the attention of far-right militias, Oath Keepers, Three Percenters, and various so-called “patriot” groups. Many in the group were unironically wearing brown shirts, as well as black bandanas across their faces. 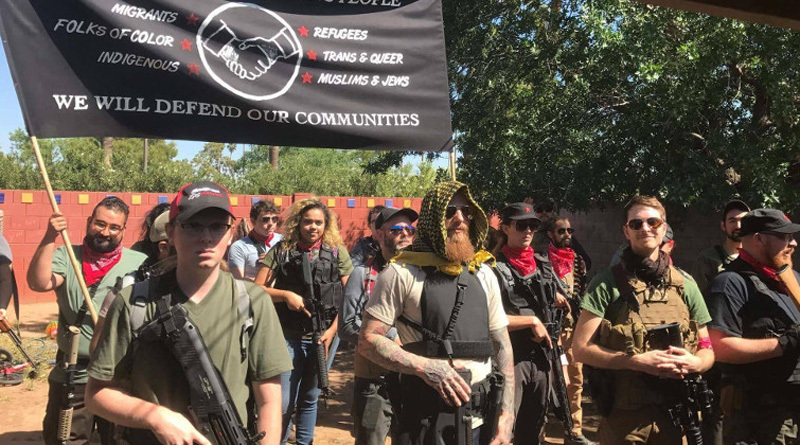 In typical Antifa operating fashion, they had assembled in a public space, but demanded that they not be filmed so as not to expose their identities, even warning one Phoenix New Times reporter, Stephen Lemons, that his iPhone could be damaged if he continue to record them. “I’m just going to warn you that we’re not responsible for anything that might happen to that phone,” threatened one of the Brown Berets. While it is certainly within the 2nd Amendment rights of the “Brown Berets” to carry and bear arms as they choose, the proclivity of leftists – specifically Antifa – towards initiating unpredictable, vicious violence against anyone they deem to be a “white supremacist Nazi” (see: all Trump supporters), brings into question how future confrontations like these might play out, especially considering how little training or experience they likely have in comparison with “right wing” groups loaded with veterans, hunters, and former law enforcement. After a weekend that saw many Pro-Trump rallies and marches interrupted and marred by violent Antifa groups, it is clear that the temperature within the United States continues to rise, and it should be the primary aim and focus of all parties involved to remain peaceful, respectful and civil in all disagreements going forward. Communists must not have much success selling their lies. First, they must camouflage their communism by calling themselves “liberals,” “progressives,” “anti-fascists,” or “environmentalists. Secondly, they find it essential to try to silence their political enemies, lest the public hear the truth. Third, they regularly use violence to attack their political enemies.